The subscription box arrives every month and is £24.99. You receive: 4 double gins, tonics and mixers, 10% off the online store, information about each gin including tasting notes and cocktail recipes and a few surprises each month. 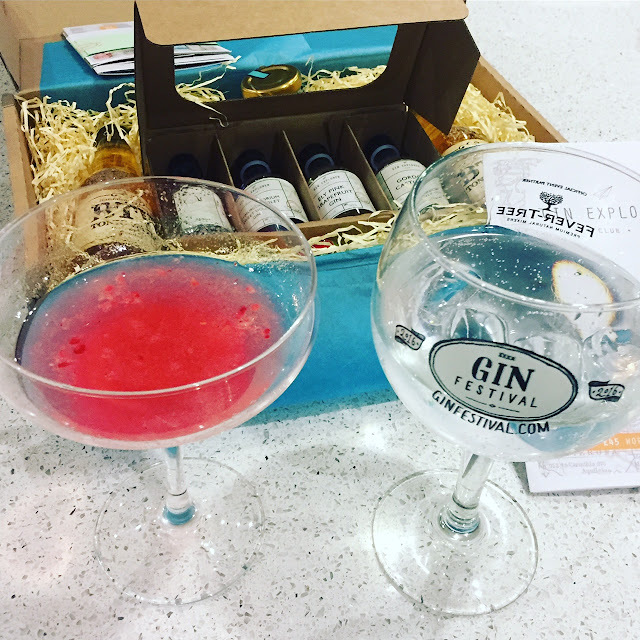 Within ours we received an extra gin that was to be made in to a cocktail. 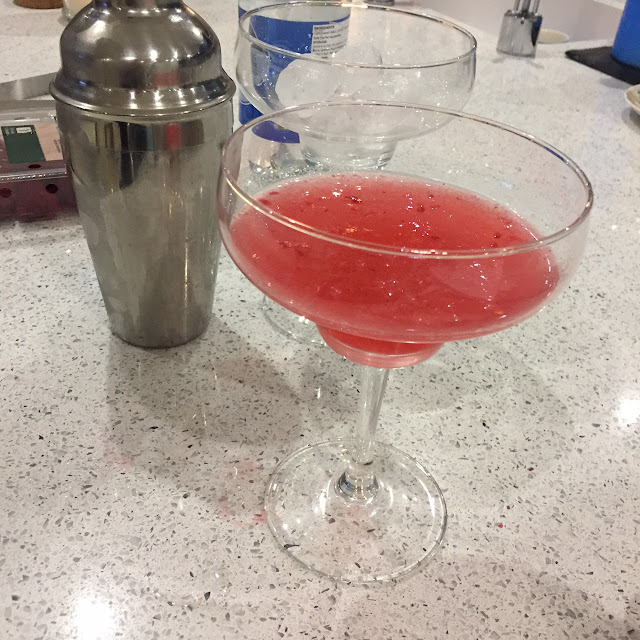 I decided to try that one out first. 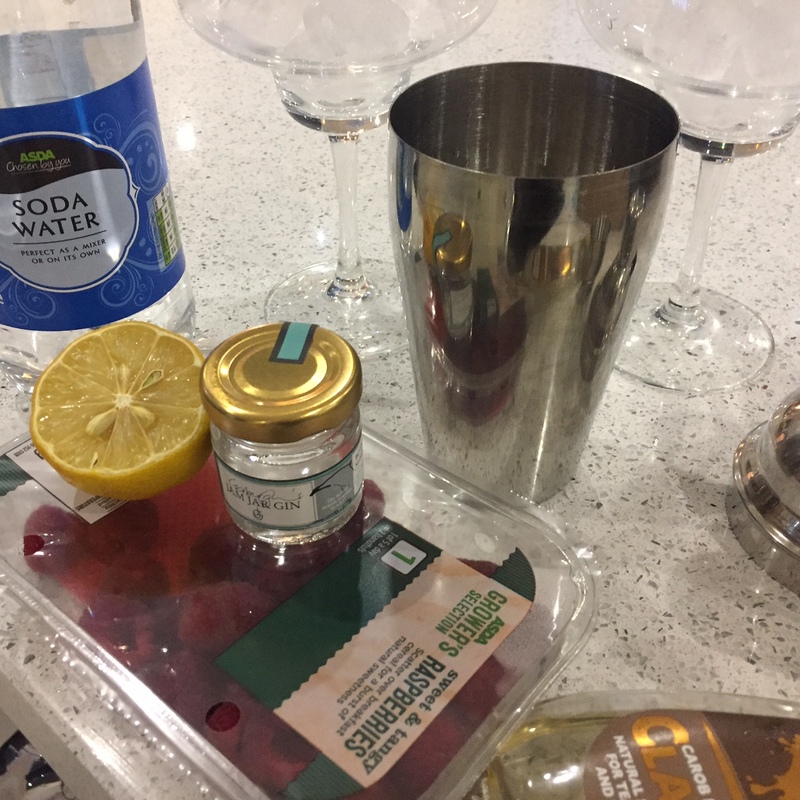 This included mixing the gin - Jam Jar gin, with raspberries, lemon, sugar syrup and soda water. I really liked this one and found it very refreshing. Darren wasn't as keen so he moved on to the bottles. We tried each one in turn, we both absolutely loved the Pickerings Gin and have been obsessing over it ever since. 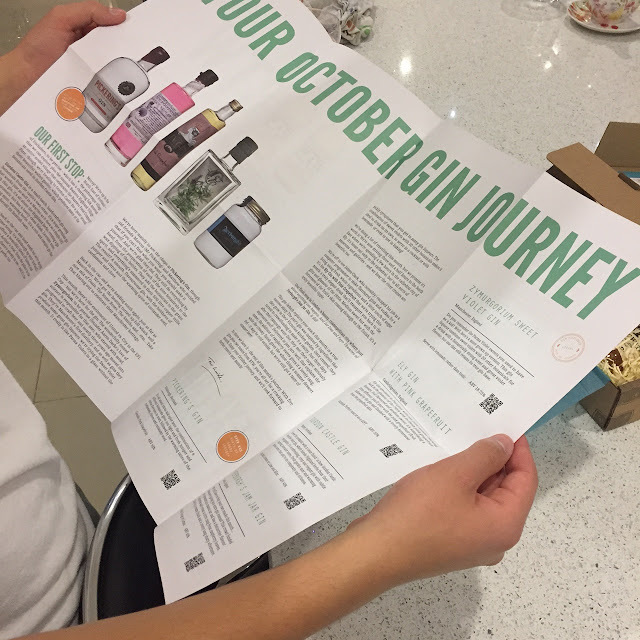 We think we are going to have to buy a full bottle as we truly loved it. 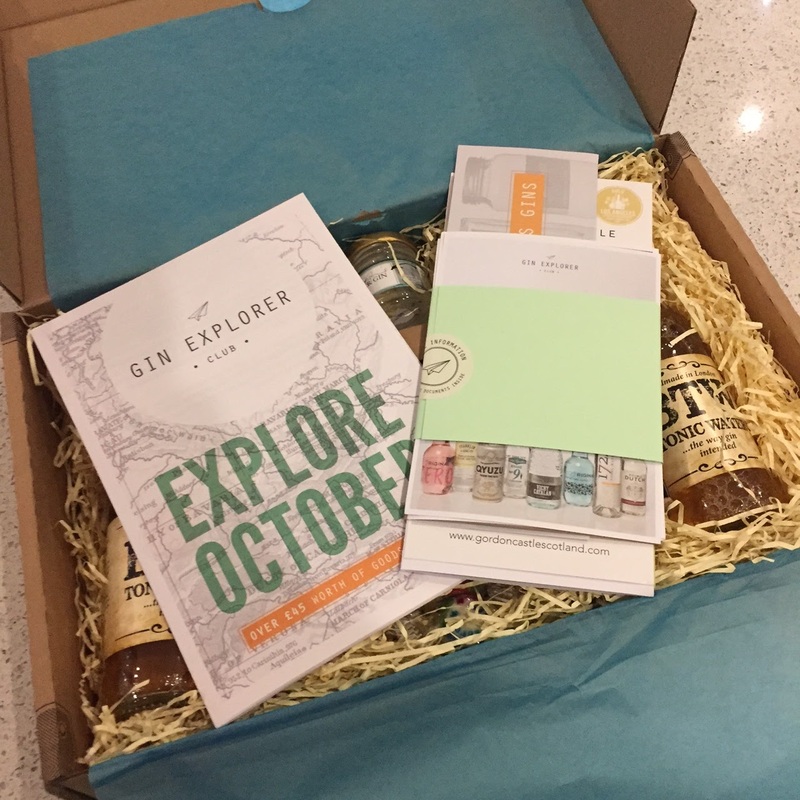 I suppose this is the point in the box, to try out different gins and find the one that you love. We loved trailing out the box and would 100% recommend to any one who is a gin lover. It was really good fun and kept us entertained on a Friday night. 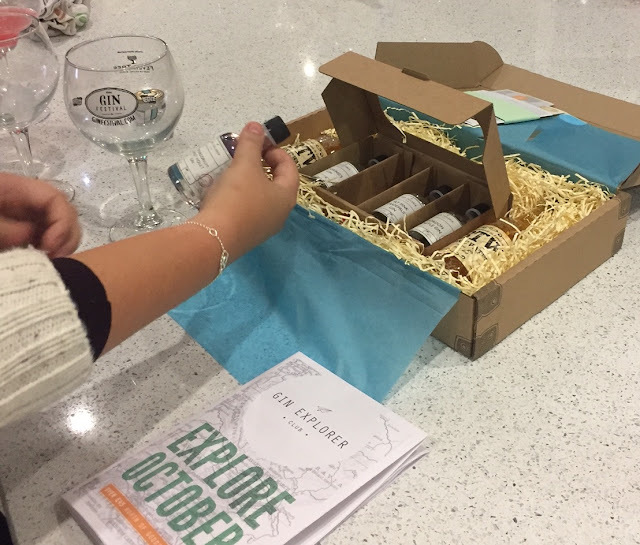 We also felt that the box or bottle could be reused as the packaging is really unique and quirky. 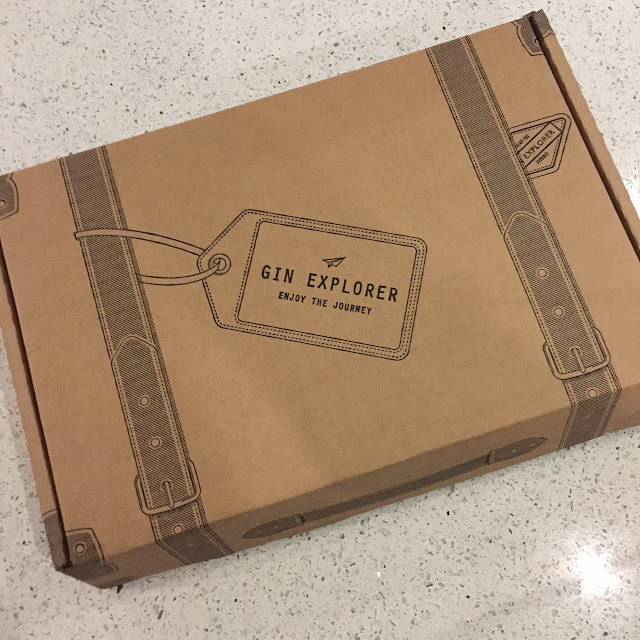 Huge Thanks to the Gin Explorers for sending us this amazing box to try. Im sure we shall be signing up for next months.